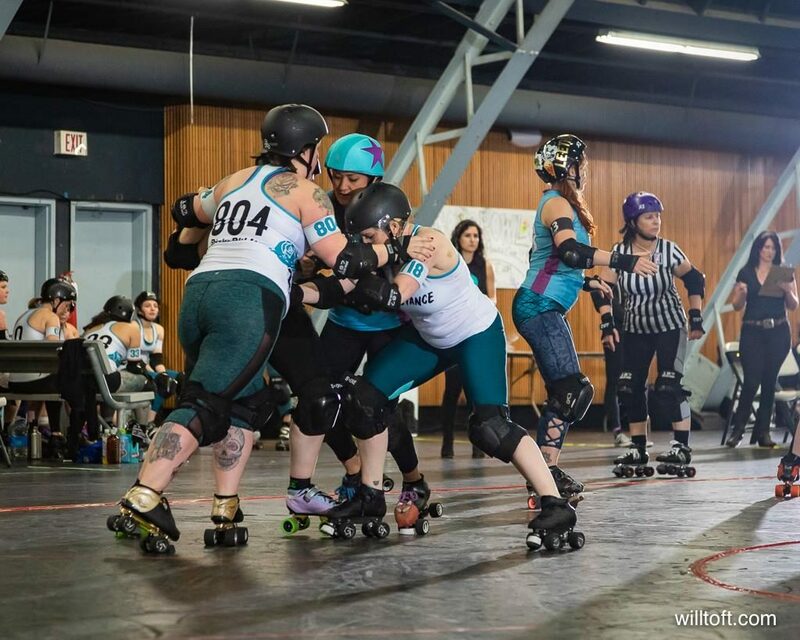 It’s been a time of evolution for the Berkeley Resistance, who roll into #20ShineTeen with a strong new set of skaters, freshly honed strategy, and drive for redemption. While fourteen skaters and bench manager La Rude have moved on since the end of last season, Berkeley sees numerous returning skaters, and various new additions–such as Slam Chowder (#33), Kate Silver (#538), Harmagedon (#11), the Boonvillain (#128), Grizzy Borden (#187), Jesus Chris (#16), Psi (#317), and Big Perm (#404)–to its powerful lineup. 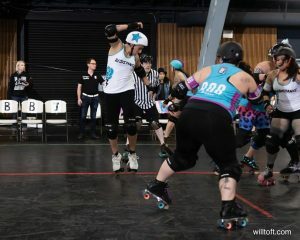 Bench coaching this season are Smother Mary, who won’t let injury keep her far from this season’s derby action, and Beaver, who doubles as both an “amazing jammer coach” and “whole team pumper upper”. Last season, the Resistance withstood a series of injuries and skated through difficult scenarios, but ultimately finished behind the Oakland Outlaws and San Francisco ShEvil Dead. 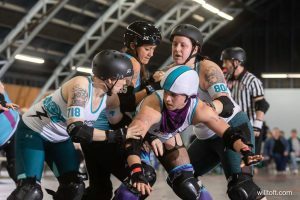 The time since has been a period of growth for the team, and they’ve leveraged lessons learned last year into a smarter, stronger training strategy. Coach Dixie Did It (#804) is optimistic about the payoff for the team’s hard work, and says: “Every time we skate together, we get stronger. Every obstacle we overcome, our trust, understanding, and respect for each other grows deeper. Every moment we spend training together, our communication gets tighter. I am very proud to say that we have developed an encouraging, motivating, and overall genuinely supportive environment on our team”. They enter this season as a united front with grand aspirations, which is fitting for the work they’ve put in. 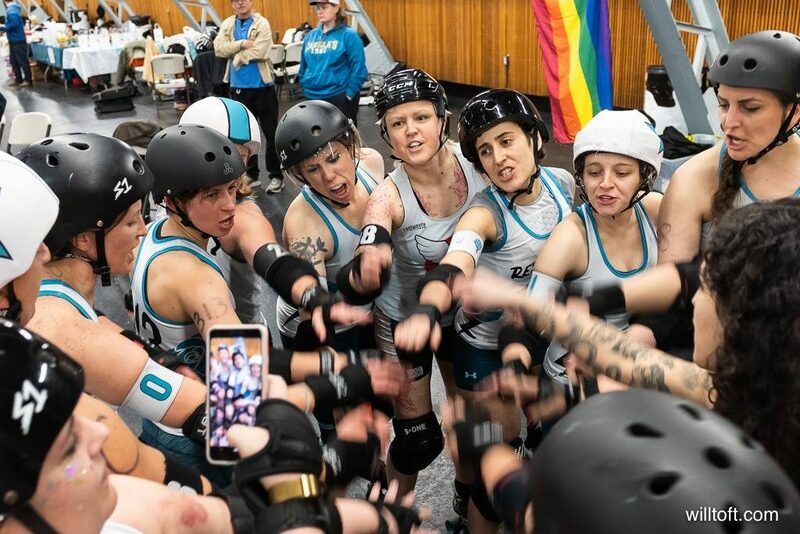 After months of learning and growing, strategizing, sweating, and pushing themselves and each other to be stronger, all hearts of the Resistance are set on taking the title of League Champs in 2019.